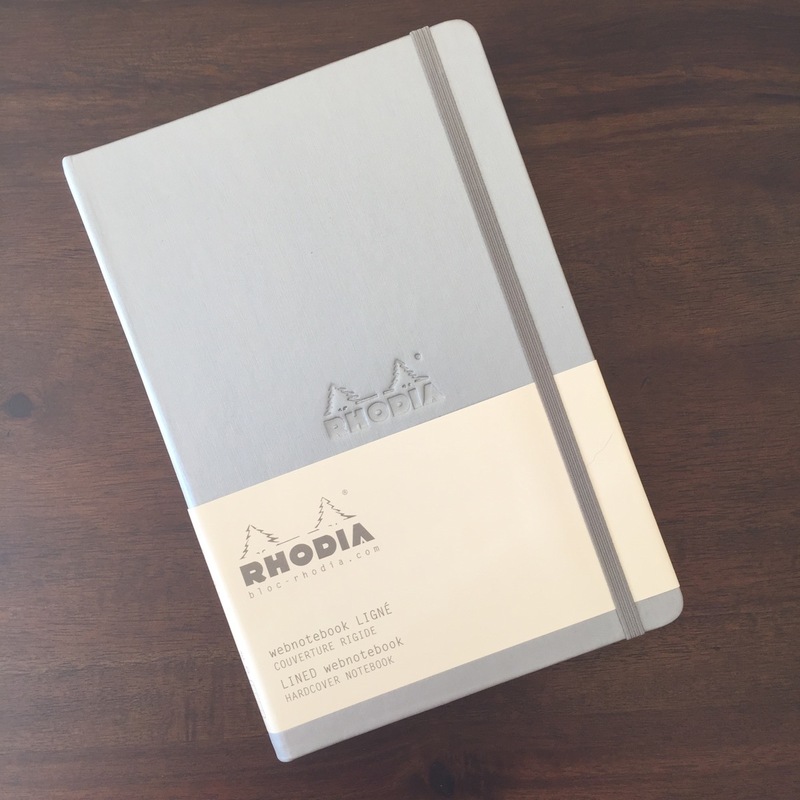 I was so excited when Goulet Pens approached me about reviewing the very luxe Rhodia Webnotebook in Silver. It’s a beautiful book and it’s not one I’d tried. 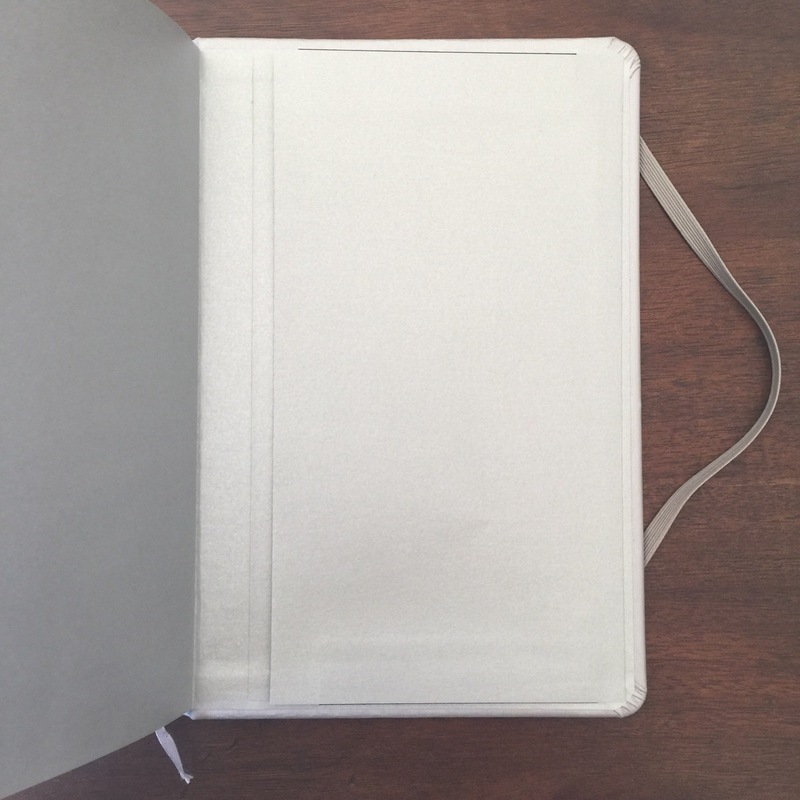 Without a doubt, this is a high-quality item – it is well-made and feels luxurious. 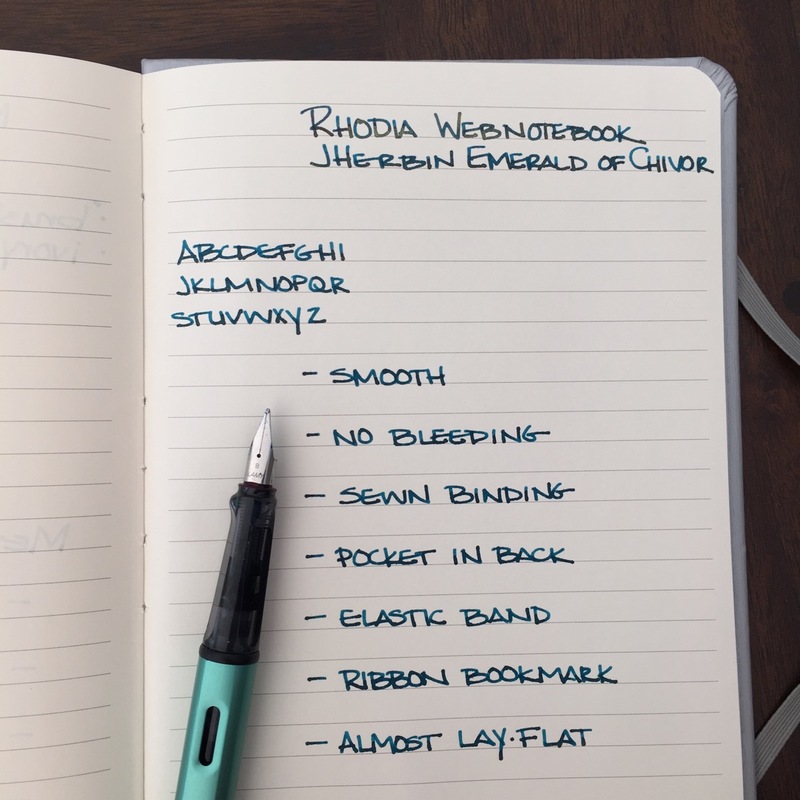 The notebook features all of the bells and whistles – hard cover, ribbon bookmark, elastic band, and a handy pocket in the back for small papers, stickers, or receipts. 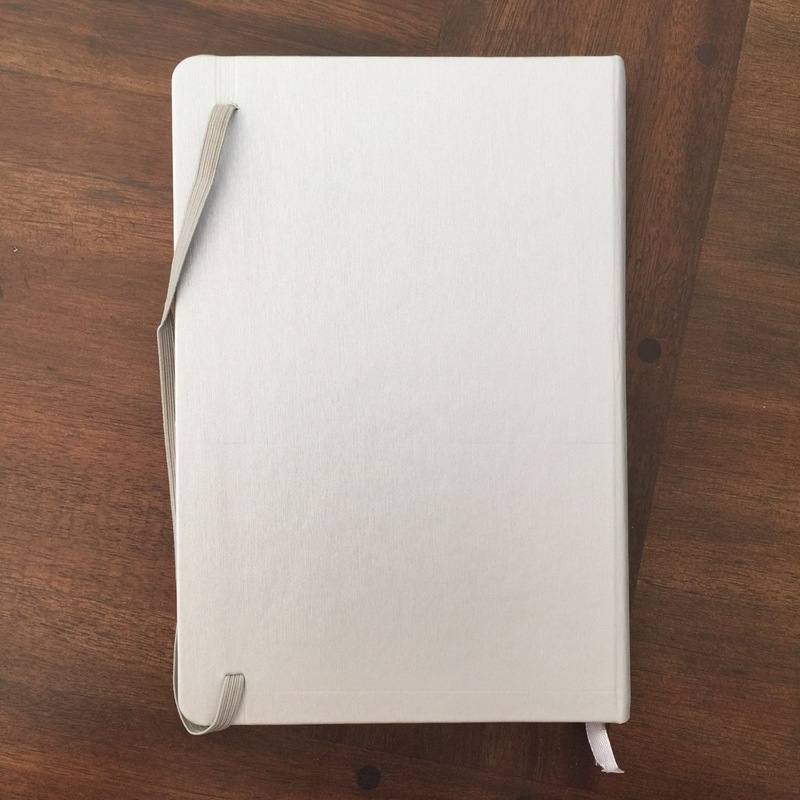 The ivory-colored paper is 90 gsm Clairefontaine and has as super-smooth feel to it. 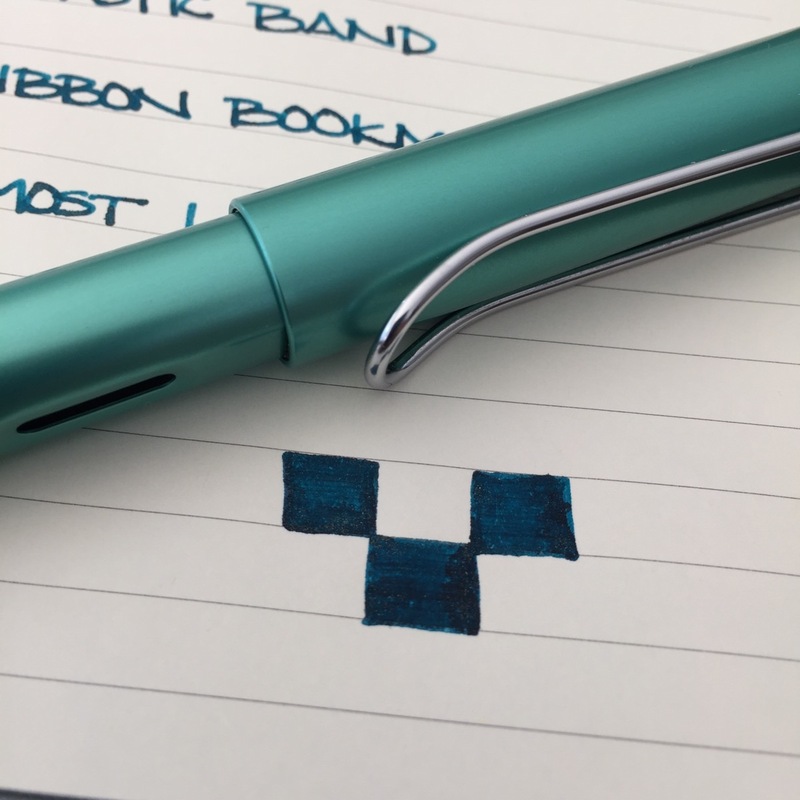 I grabbed the nearest pen – a Lamy Al-Star filled with J Herbin Emerald of Chivor – and started writing. What a pleasure! There was no bleeding, but a little show-through. 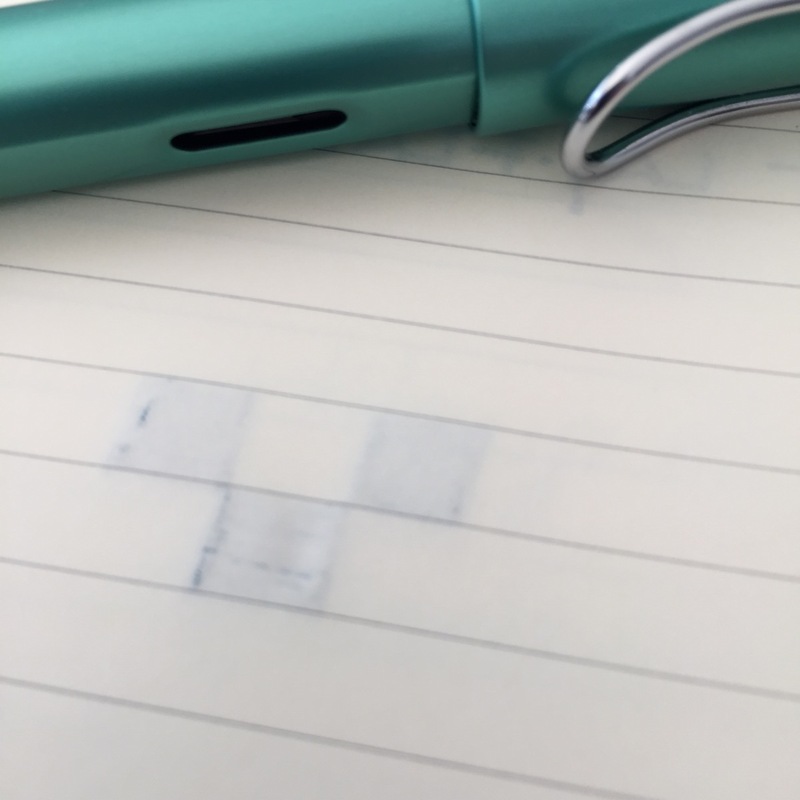 This pen is wet and the nib is broad. 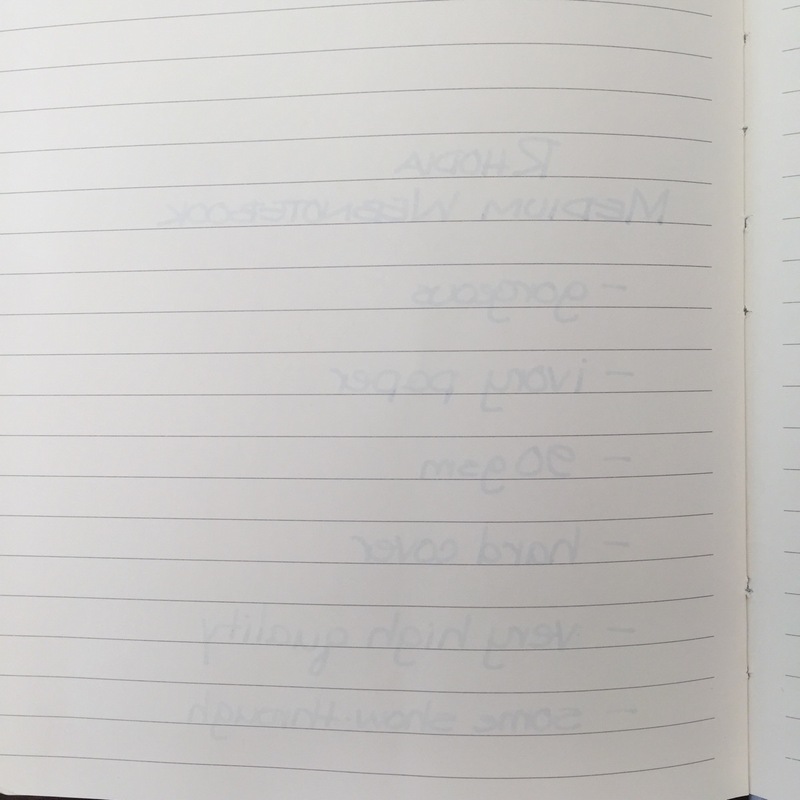 Even with some pretty heavy scribbling, there was only a teeny tiny amount of ink seeping through to the other side. 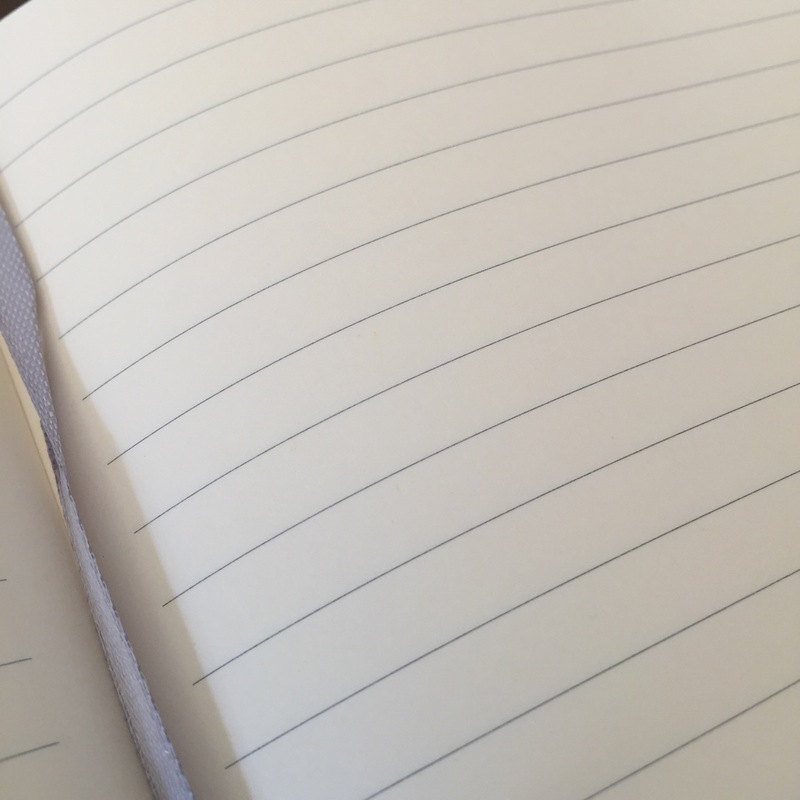 You can see (in the bottom box) that the paper is starting to ripple a bit from the wetness – even then, there is hardly any ink coming through. 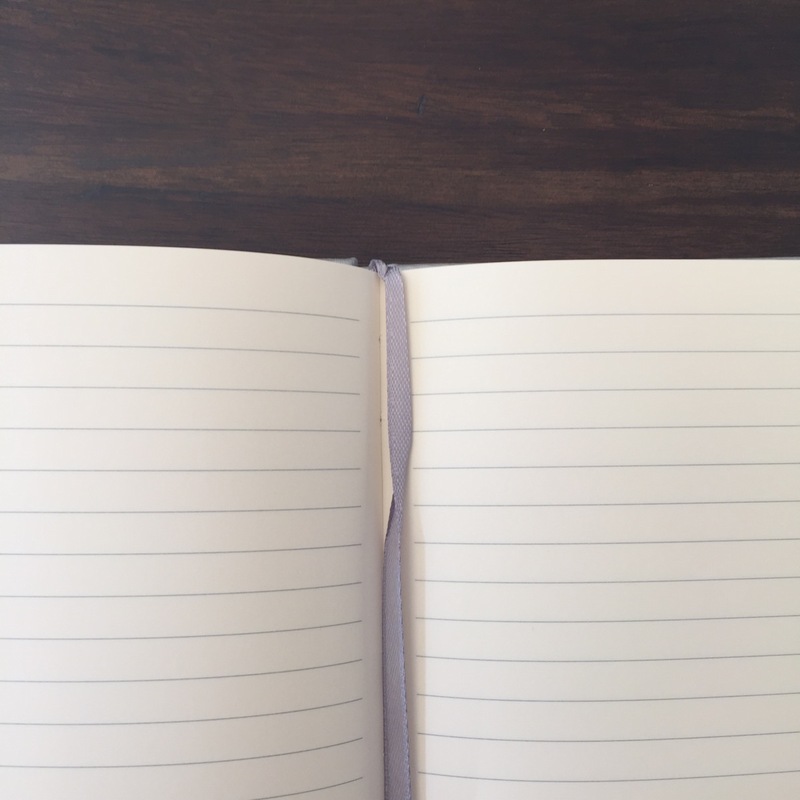 It’s the cover that makes this notebook truly special. 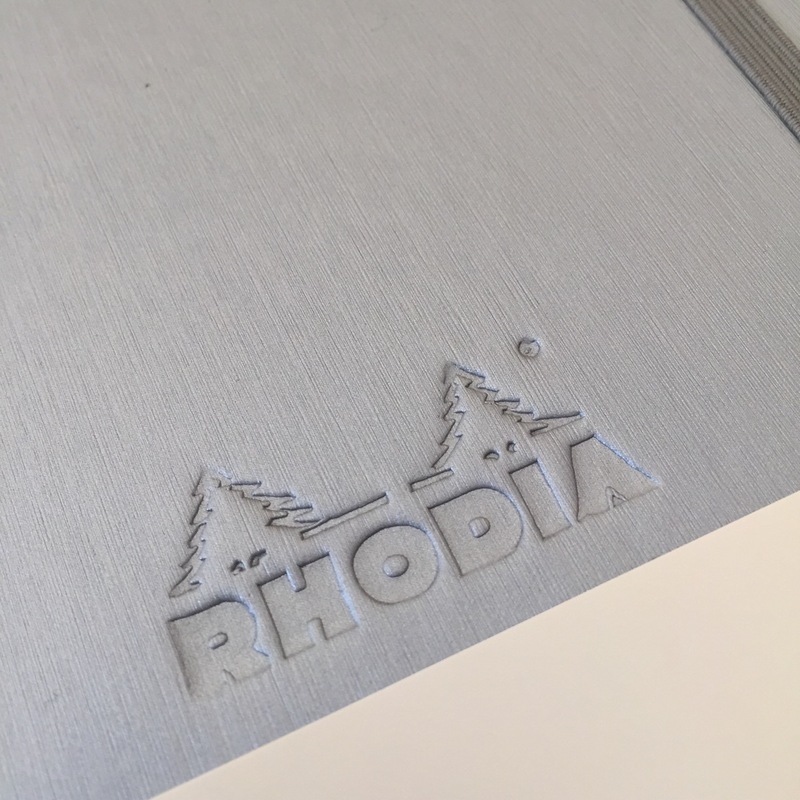 Silvery “leatherette” with a lightly brushed finish takes this book to the next level. It feels expensive, it looks expensive. 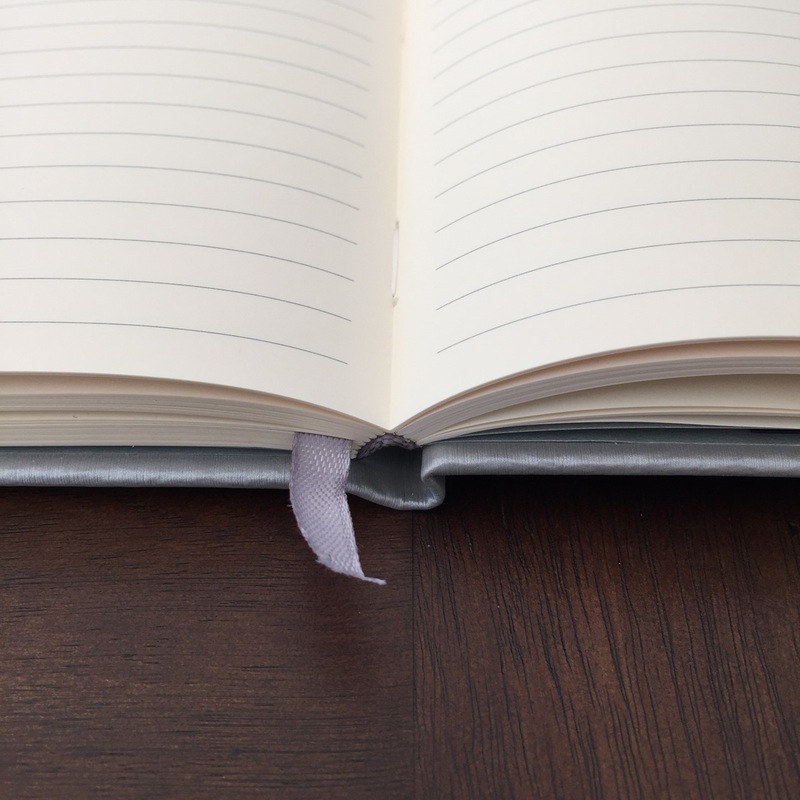 This is the kind of notebook that could easily be used in a professional setting and also be carried around for personal journaling or note taking. It commands attention, but not in the same way that sequins would, if you know what I mean. Having said all of that, I wondered if it would be durable. I scratched it. On purpose. First, gently on the back. And then, not so gently. And then right across the front. 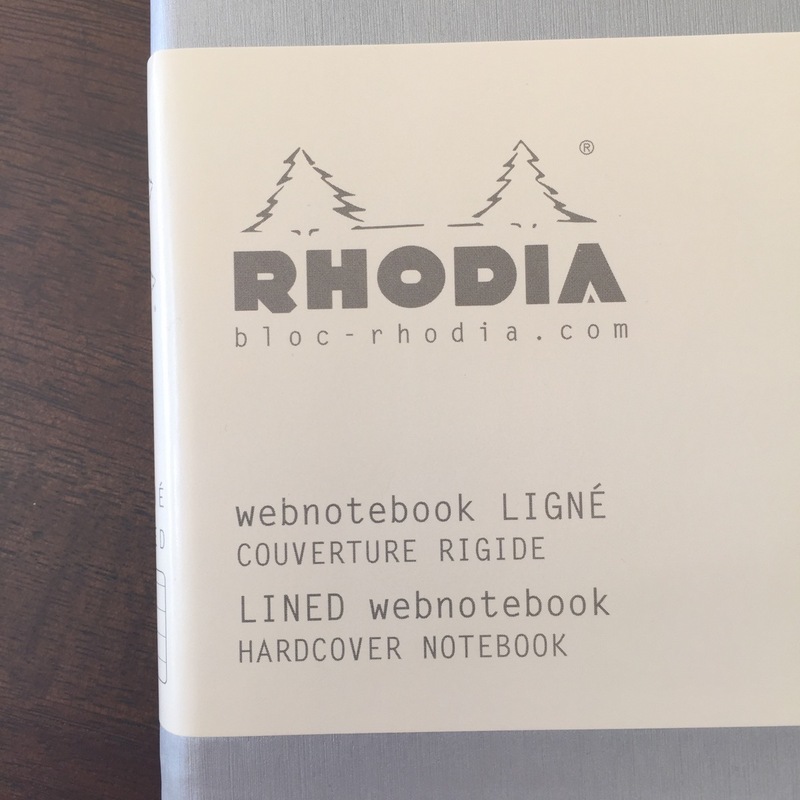 Take that, Rhodia! Held at the right angle, in the right light, the scratches I made are visible. But mostly not. I’m impressed. 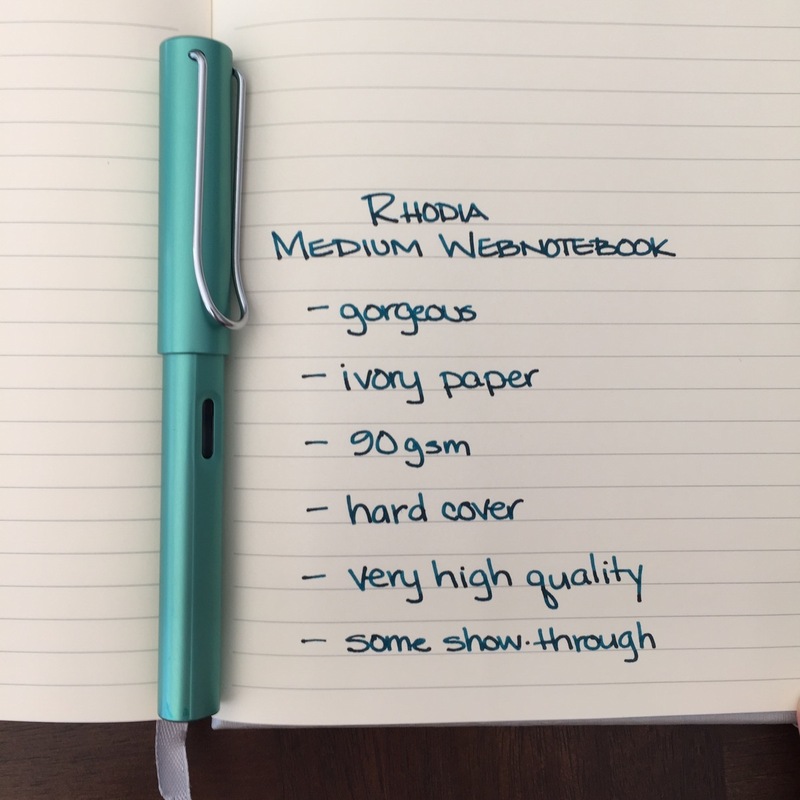 This beauty containing 96 sheets of A5 paper is $25 at Goulet Pens. 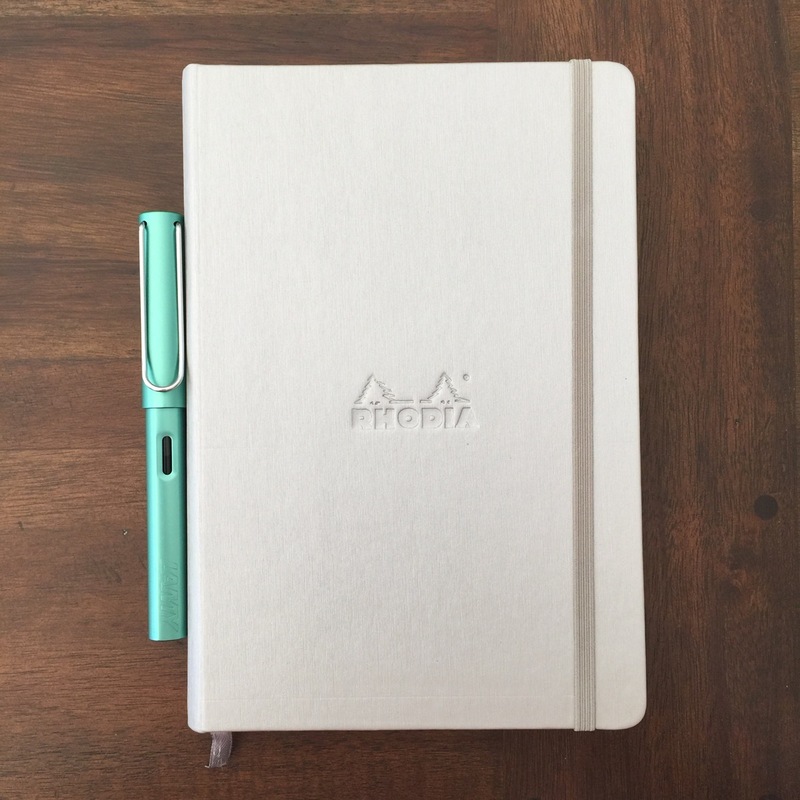 Thank you Goulet Pens for the opportunity to try this fantastic notebook! 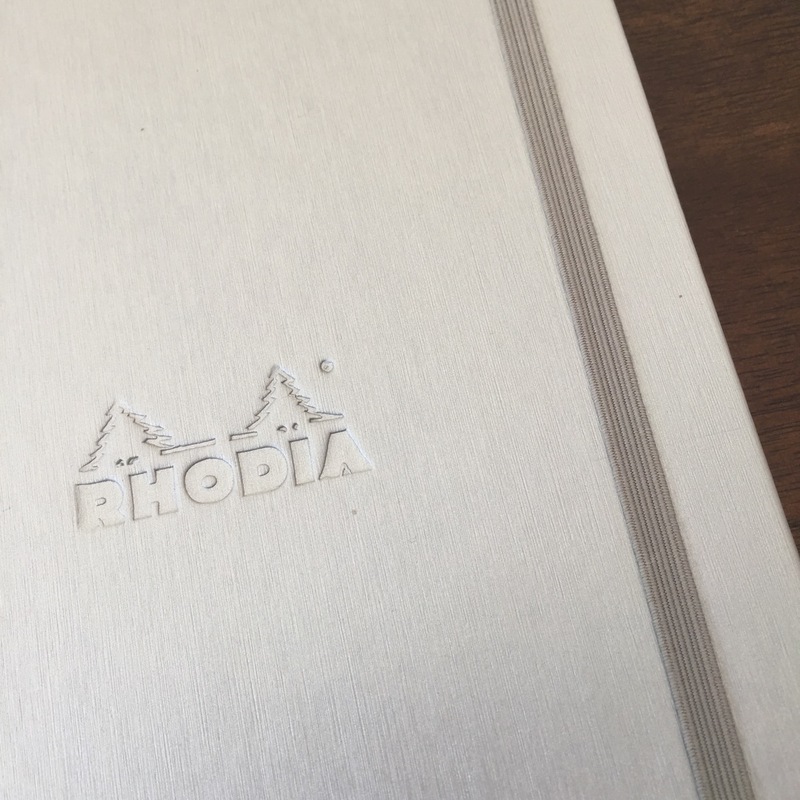 This entry was posted in PAPER and tagged notebook, paper review, rhodia, sponsored by Christine (Pentulant). Bookmark the permalink.